Greeting cards maker software is devised with an excellent development platform to create high quality, distinctive greeting cards to gift to friends and family members on various occasions like Christmas, New year, Valentine day, Easter and more. Greeting card maker software provides a specialized creative platform for users to give a wonderful shape to their imagination and craft custom-made greeting cards to celebrate the seasonal holiday in a different style than what had been prevalent till today. Software uses advance image designing tools to create attractive looking greeting cards of diverse shapes and sizes including Rectangle, Rounded Rectangle and Ellipse etc. 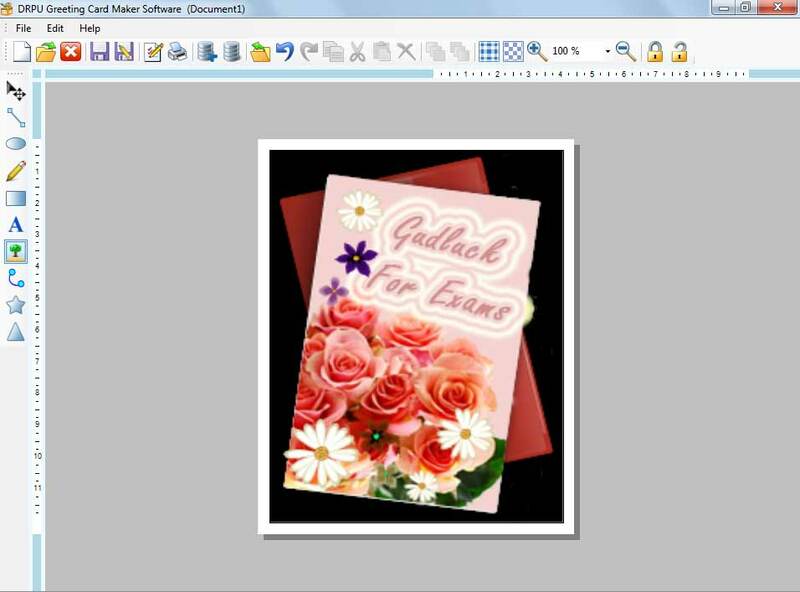 Greeting cards maker software presents users with a fun way to create greeting cards of one’s choice in the simplest and the most convenient manner. Easy to use software enables any category of user to implement the product without requiring any expert guidance or prior technical training. Creates high resolution, ready to print greetings card. Multi colored greetings cards with different font features can be created by aid of advance font, color setting functions. Photo adding, text, expression or personal message adding features. Use of image designing tools like Line, Ellipse, Pencil, Rectangle, Text, Picture, Arc, Triangle and Star Objects to create eye catching greetings cards. Diverse shaped greeting cards like Rectangle, Rounded Rectangle and Ellipse can be created. 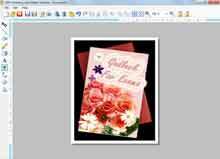 Create fresh greeting cards or edit existing cards as required. User friendly interface that can easily be worked upon by all users. Free trial facility! Free of cost trial demo software is available for download at barcodelabelmaker.org so that users can easily check the software features and working abilities before deciding to purchase the licensed software at affordable price.